Their love story was born through Facebook messages and emails, a wartime romance in every sense. While he was away from home, in another land, helping to secure peace for a war-torn region, they found each other in the most unlikely of ways. His family and hers happened to be in the same restaurant on the same day. The mothers met, discussed their children, and a match was made. 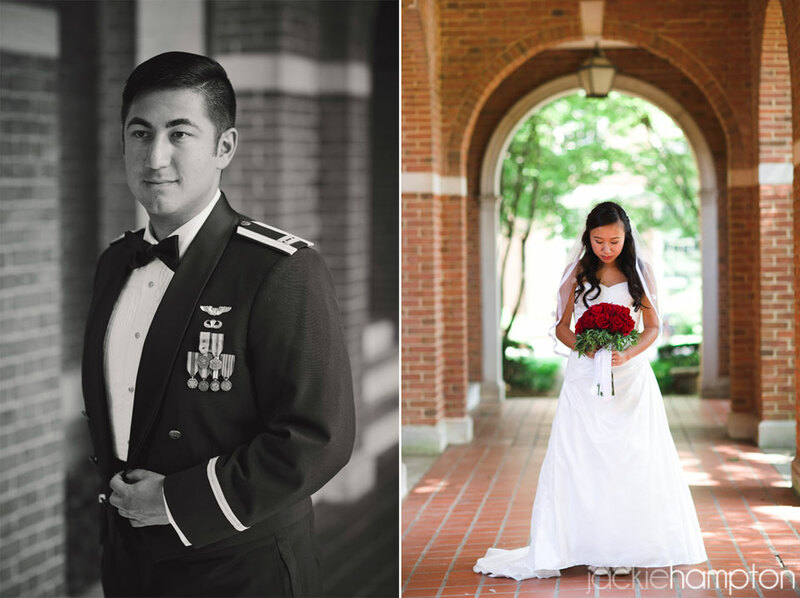 Despite the distance between them, Matthew and Priscilla grew in love and understanding of each other while they waited for deployment to end and their life together to begin. 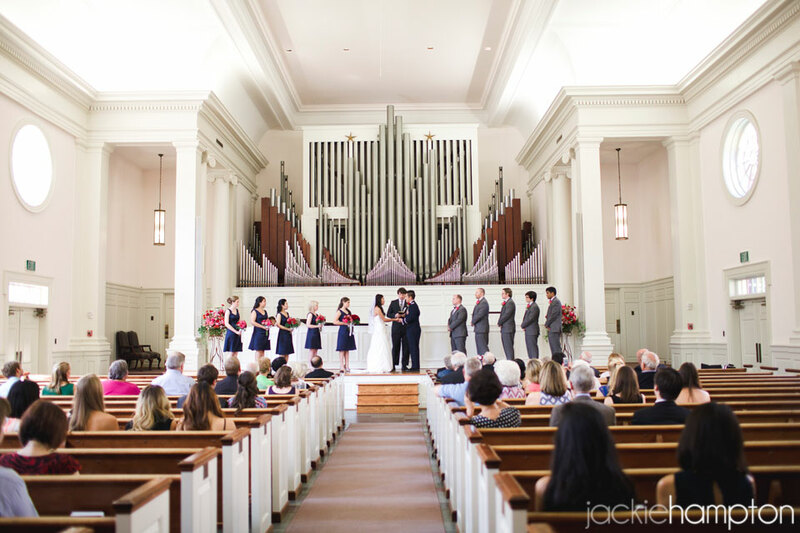 The day of their wedding dawned warm and bright as the couple and their closest friends and family gathered at Reid Chapel on Samford University’s campus. 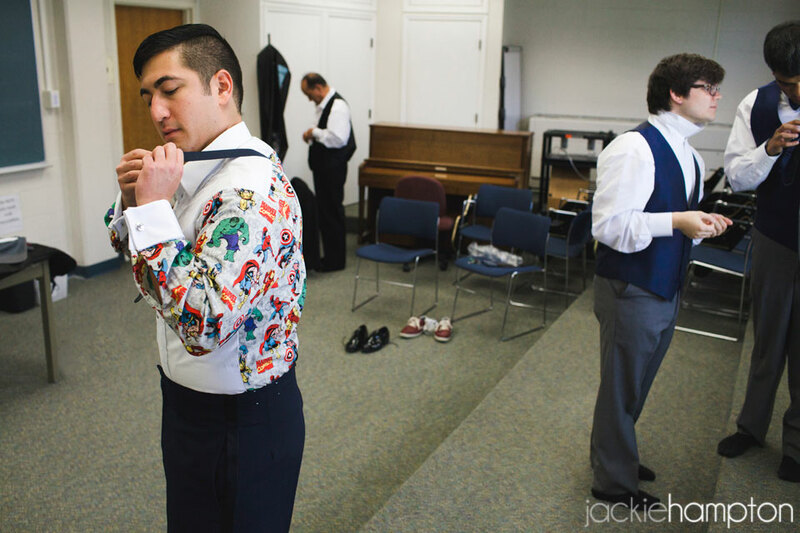 Matthew began the day by donning a secret superhero shirt, which was hidden under his jacket until the reception later that night. 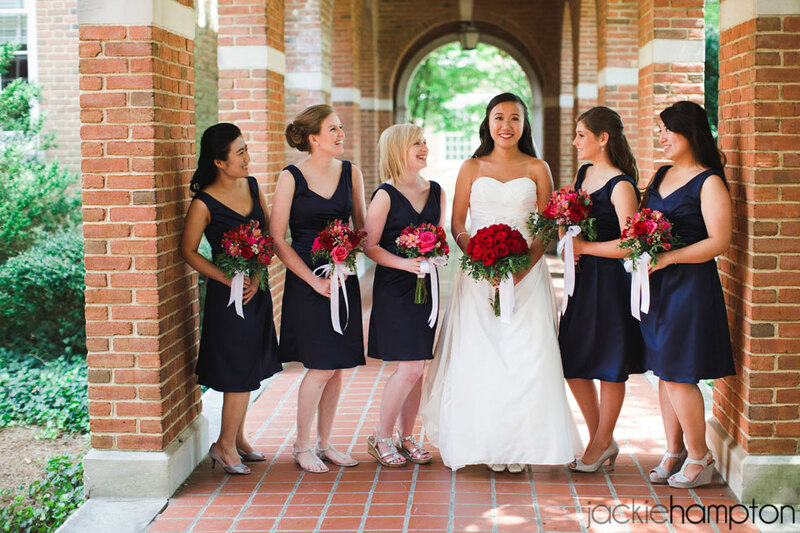 Priscilla was radiant with happiness, encircled by her bridesmaids. 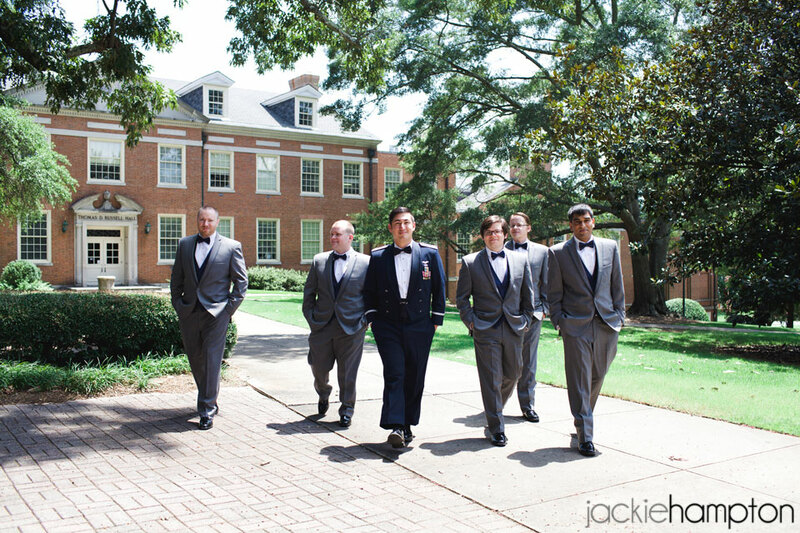 Matthew and his groomsmen were looking quite dapper in their suits and bowties. 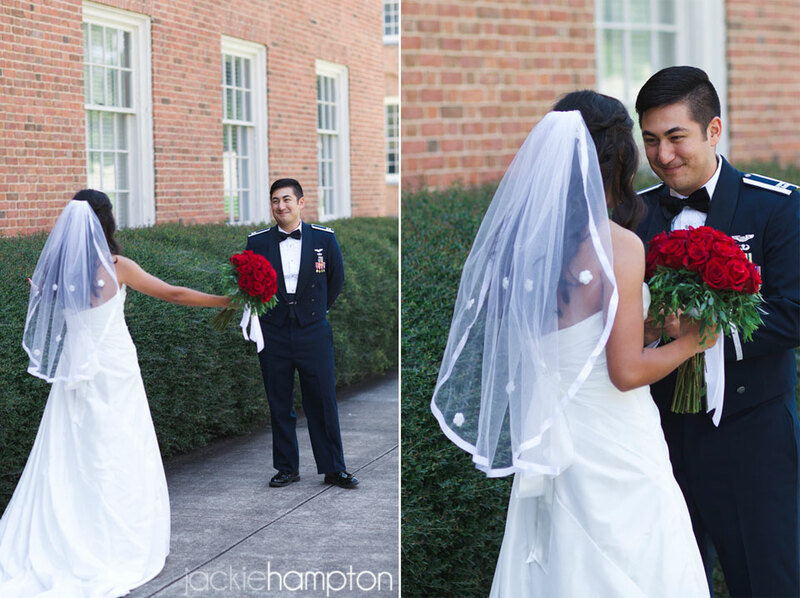 Matthew and Priscilla chose to see each other before the wedding in a private moment shared by just the two of them. 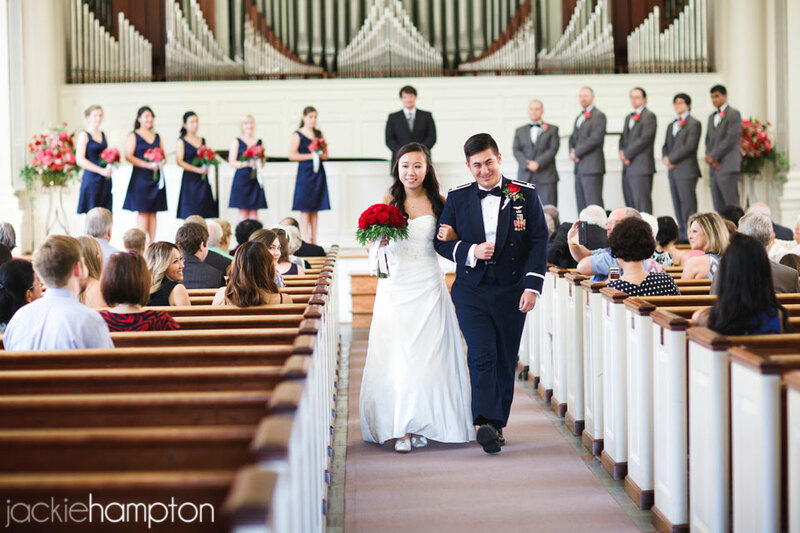 After we walked the grounds for a bit they headed back to the chapel. 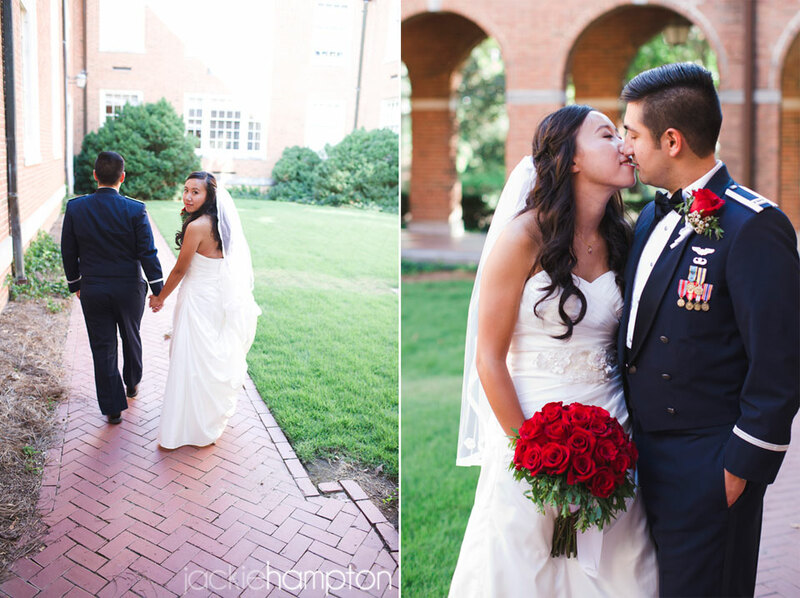 An officer and his lovely bride. 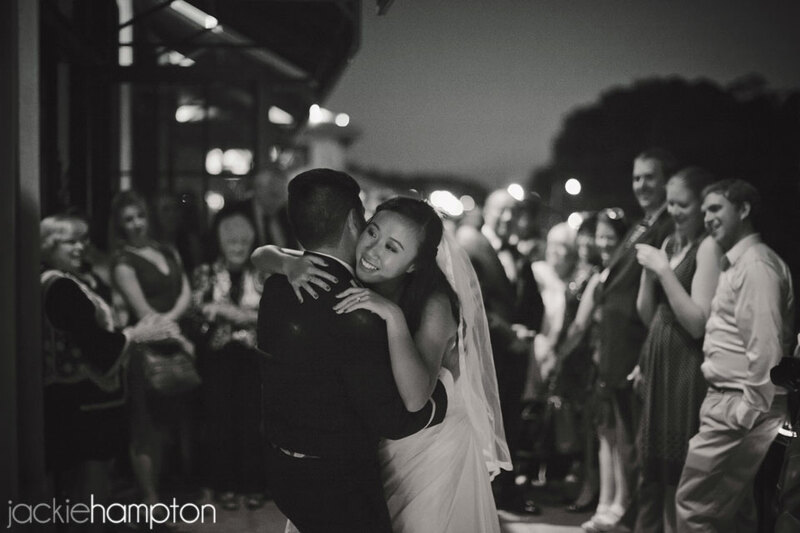 Later that evening they enjoyed their first dance under the twinkling night sky, while friends and family smiled and looked on. 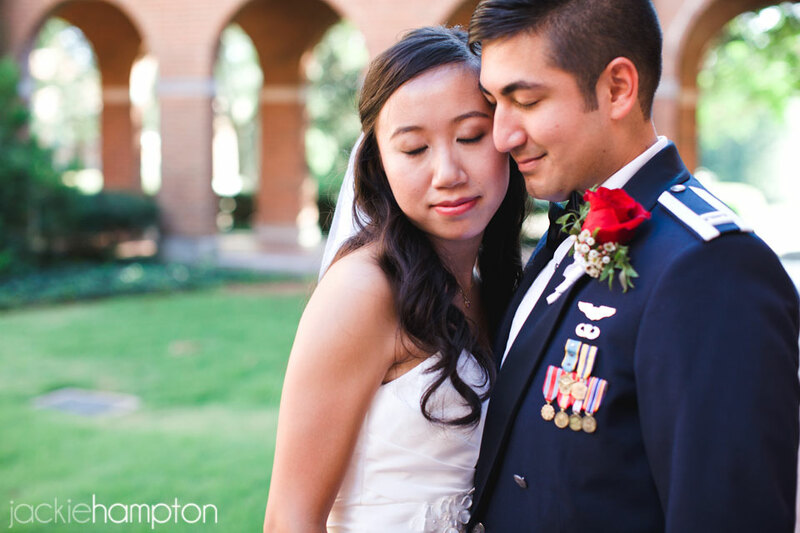 Matthew and Priscilla, I wish you a lifetime of blessings and happiness in your new life together. Thank you for welcoming me into your special day. Documenting your love was a true honor. 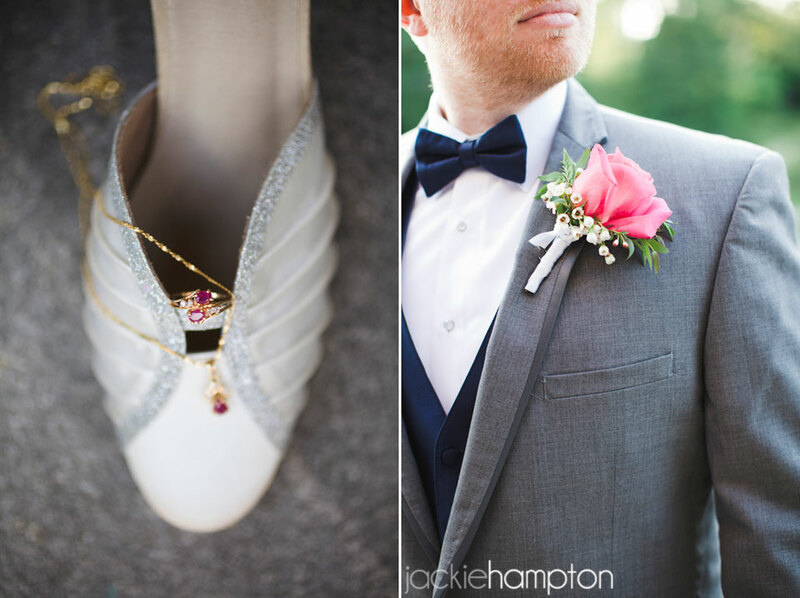 Thank you for getting all these beautiful pictures done so quickly! I cannot appreciate you enough for catching these wonderful moments and taking these amazing pictures. I am so glad that we are able to appreciate the biggest day in my life though the gorgeous eyes of yours! I did and I will recommend many of my friends to ask you for your great service. I am also looking forward to ask you to be my photographer 2 years later when I graduate from the pharmacy program. I cannot think about any other person can do this job better than you! 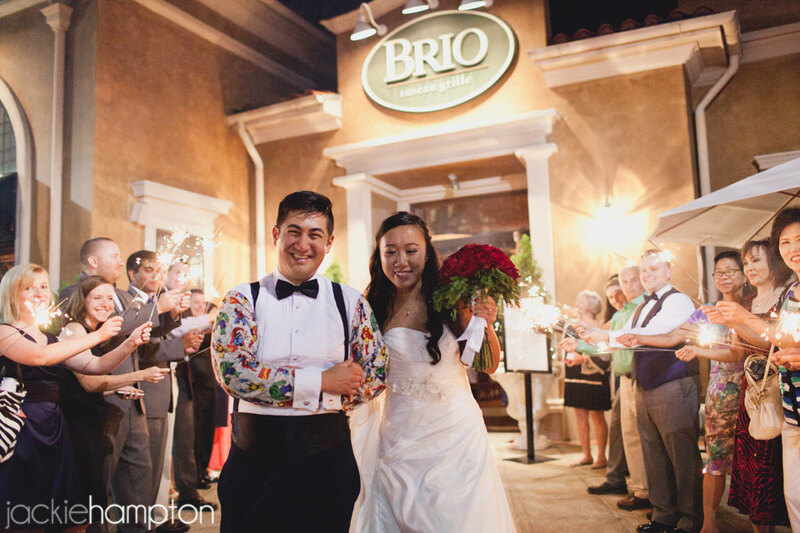 At last, I would like to personally thank you for your help and recommendations on many other issues during my wedding. 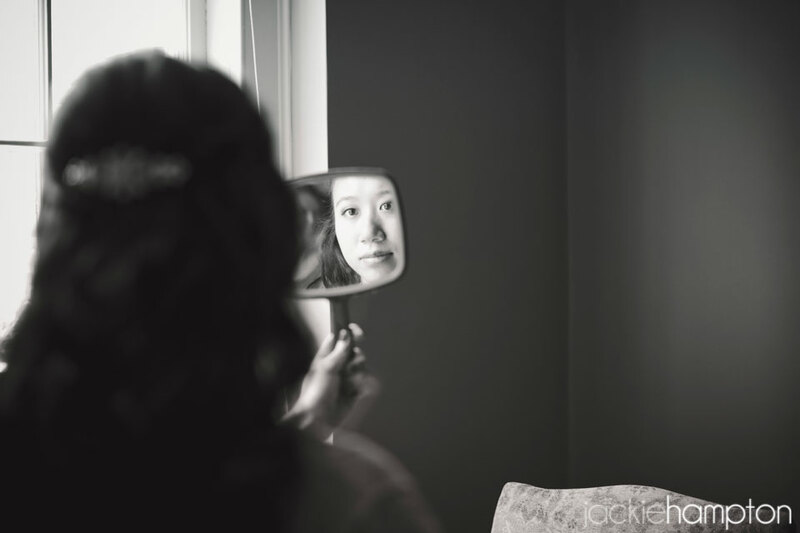 It is not easy to find perfectionists like you and me! And without your help, my wedding would not be perfect! Many thanks to you and your sweet husband!